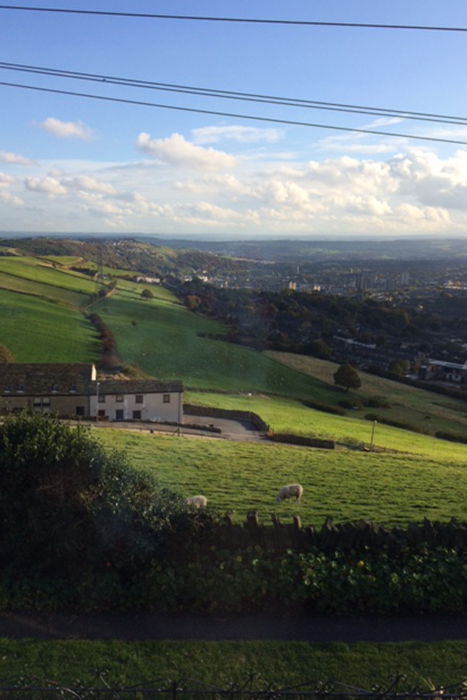 Pule Cottage is situated at the end of a row of 18th century crofters’ cottages set in a unique position high above Halifax and benefits from magnificent views over a vast expanse of rural countryside that is Calderdale. With the town of Halifax sitting in the valley below, and still only 5 minutes away by car, this is what makes Pule Holiday Cottage unique – ‘The Setting’. 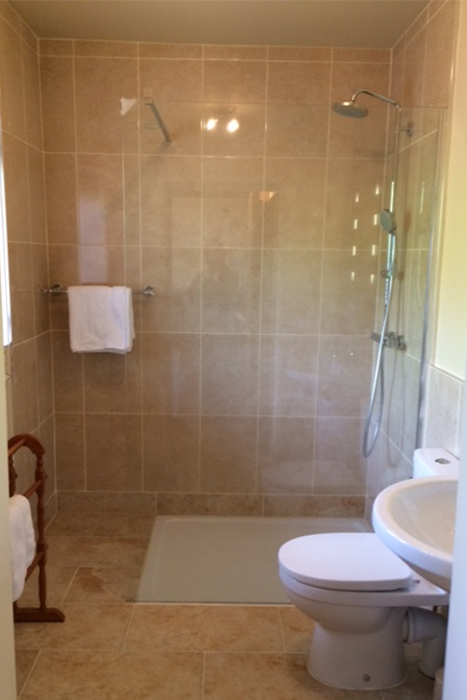 Pule Cottage has been fully renovated and refurbished throughout. Lovingly restored with original beams, exposed stone mullioned windows and cills, flagged stone flooring with original inglenook and log burner stove offering that warm and cosy ambiance to your evening. 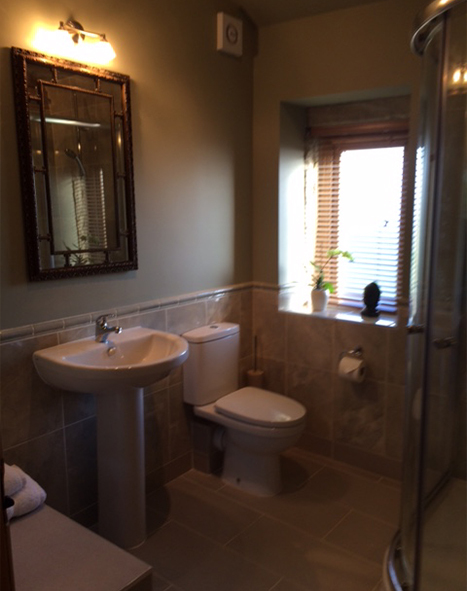 There are two en-suites; one off the bedroom on the 1st floor and a walk in shower room to the ground floor. 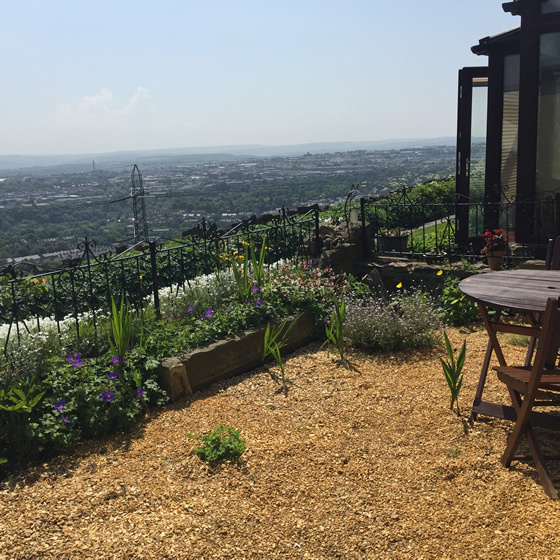 The cottage has a separate Snug/Kitchen diner where you can catch up on your emails or simply relax and watch TV with a cup of coffee or share that alfresco moment on the delightful sun terrace taking in the full vista of the magnificent landscape. The kitchen is fully integrated and equipped with a dishwasher, oven/hob, fridge with freezer compartment, washer/dryer and Belfast sink. 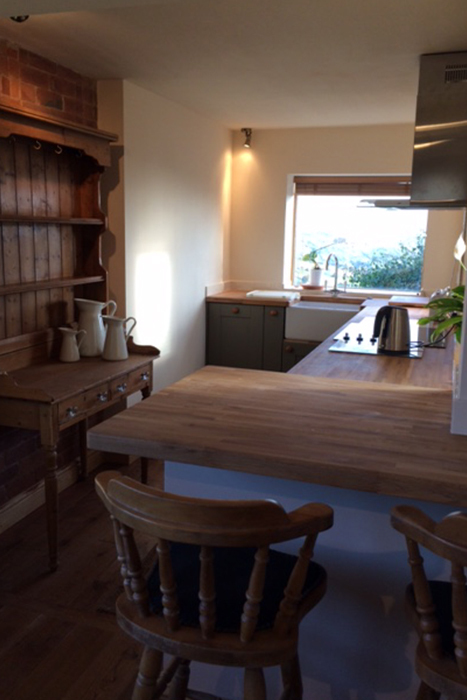 Take a coffee and watch TV at the breakfast bar which separates the Snug and kitchen. Even washing up can be a pleasure with stunning views from the kitchen sink. Eating out need not be a concern either as close by there is a local Inn serving evening meals (3 minutes’ walk) and only 5 minutes by car a visit to the Shibden Mill Inn (a Yorkshire award winning establishment) with a great reputation for its food and wine list. Indeed, with Halifax town only 5 minutes by car the choices are excellent. Bookings can be taken throughout the year and includes weekly holidays (Saturday to Saturday) and short breaks when available. 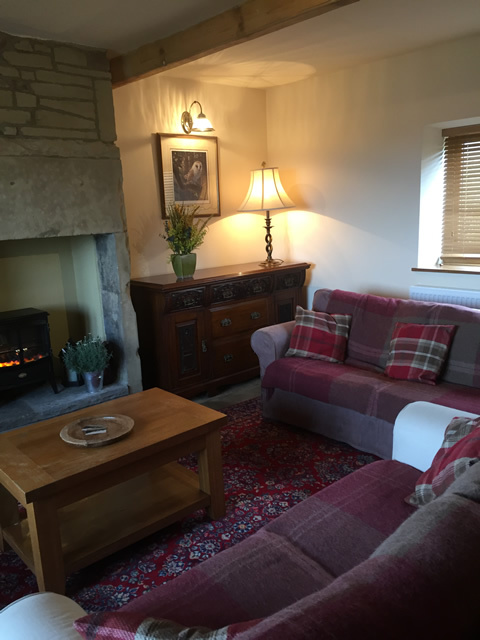 Our offer for short breaks is a minimum of 3 nights as weekly lets would normally take preference. 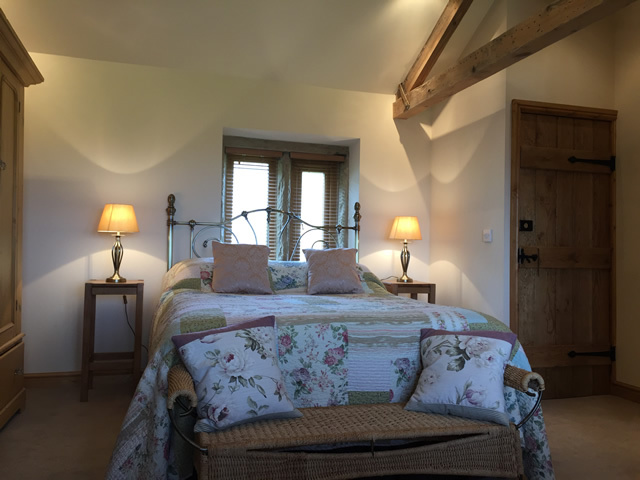 However, if you require 3 or less days you can always consider our 4 Star Bed and Breakfast just down the lane see Ploughcroft Cottage details by clicking HERE. We will be happy to offer this alternative if we have availability. Please enquire for Short Breaks and Christmas bookings. A 25% deposit is required to secure any booking and balance to be received 6 weeks prior to arrival. Kitchen: Fully integrated units with dishwasher, electric oven and hob, fridge with freezer compartment, washer/dryer, microwave and toaster. Cooking utensils and crockery supplied. Lounge/Bedroom: Wood Burner Stove, TV, comfortable sofa bed. First floor Bedroom: King Size Bed, TV. Heating and hot water is included. FREE Superfast Fibre Optic Broadband provided throughout the property. Terraced gardens for that alfresco time, with panoramic views.